As we have always said here, textual fundamentalism is the enemy. As any postmodern literary theorist can tell you, a text can bear any interpretation a reader puts on it. Textual fundamentalism - "if it's in X BOOK it's true" - either turns into solipsism, with every nutbar reading into the texts what she wants to see; or into crypto-personalism in that you need an Imam or a General Secretary to tell you what the text really means. And then you get into meta-personalist silsilas, or chains of authority - Lenin interprets Marx for us, Stalin interprets Lenin, Mao interprets Stalin, history of shaving. Bear with me a moment - I heartily recommend the works of Michael Muhammad Knight in general, and Why I Am A Salafi in particular in the current juncture. Some of you may have a wrong idea by reading excitable "war on terror" screeds from either the crypto-fascist Right or the neo-Stalinist Left, that Salafi means "the bad kind of Muslim", House of Saud/al-Qa'ida/Da'esh style. In fact, as MMK explains, the term actually means those who attempt to follow the example of the salaf, Prophet Muhammad's original companions, and to critically appraise or chuck out wholesale the 13 or 14 centuries of Islamic civilisations and movements that followed. Now, this may lead, depending on which authorities you follow as to what was actually being done in 7th century CE Arabia, to cutting off thieves' hands and selling concubines. Or, it may lead - as it has in the case of the followers of Rashid Khalifa or Edip Yuksel - to ultra-progressive Islam of the type which suggests that Muhammad's "true" message was similar to liberation-theology Christianity and all those verses of the Qur'an which are troubling to modern liberals were mistranslations by The Conspiracy. See, textual fundamentalism gets really odd-ball when you're not only interpreting the original texts but suggesting one, true, correct translations into other languages. 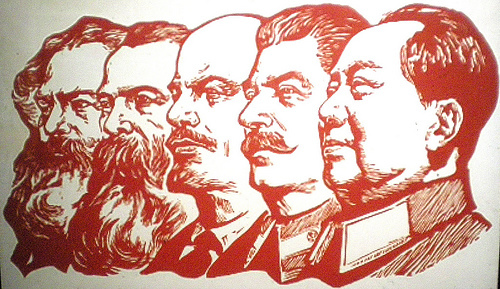 But any Marxist will see the similarities with our own tradition. The reason I didn't get into the Marxist or Leninist traditions until quite late in life was that my lived example, when I was young, were the kind of Trotskyists who solved every problem with appeals to the Holy Scriptures - the Gospel according to St Karl, the Letters of St Leon to the Schismatic Belgians, etc etc etc. And like the Bible or the Qur'an, the Collected Works of the Marxist Prophets are so voluminous that you can find quotations to prove anything you want to prove. Lenin, in particular, was an effective politician precisely because he was not afraid to practice exactly what he had been preaching against two years ago, if he thought it would work. Anyway, I had enough of a background in fundamentalist Christianity that that method of arguing held no interest to me. It doesn't matter what anyone said or wrote, except to the extent that it offers a guide to action - and those actions can only be judged by their results. I enjoy reading Lenin of 100 years ago, for example, on why a "United States of Europe" would just mean a cartel of the existing colonial empires, as an argument made by a clever politician of a different era. But if you use that as an authority to argue for Brexit today, you are as brain-dead as any Saudi sheikh using hadith to argue that women shouldn't drive. Safi argues that we can and must do better than "pamphlet Islam" and I agree, but I'm also afraid that our efforts might only produce bigger pamphlets. Progressive Muslim reformism, with all its performance of theoretical sophistication, sometimes makes for its own counterpamphlet that's no less simplistic. the Spartacists have decided that Soviet defensism is the "central question" at all times and in all places. Those who don’t agree are automatically denounced as State Department socialists. This travesty of the Trotskyist position of defense of the Soviet Union has one advantage. It is easy to teach to new recruits. But if revolutionary politics were so simple a moderately intelligent myna bird could learn the formula in a matter of weeks. Add to this the comment I say from some old "M-L" online saying that the best thing he loved about the works of Stalin was that "they were easy to understand and digest", as opposed to high-philosophical Marx or clever-clever Trotsky. I hope you can see the point I'm making. Especially re: Syria and now Iran. If the politics or the religion are straightforward and don't need you to think, it's probably not healthy.